Laser surface texturing and through-mask electrochemical micromachining (TMECMM) are some of the commonly used methods which include multiple steps to achieve micro-textures. However, for large-area applications, it is desirable to have an economical single-step process. In this regard, ECMM is expected to be a promising and economically viable micro-texturing process for micro-manufacturing industries. This paper proposes a novel maskless EC micro-texturing process using tool sinking technique with low voltage and short pulses. Methodology of using edges (∼30 μm each) of printed circuit boards (PCBs) for ECMM of micro-channels and micro-pillars is a unique one. Micro-pillars, micro-dimples and micro-channels are produced through a direct electrochemical cathode sinking process. Analysis of current density and prediction of width and depth of micro-dimples on a flat stainless steel surface are studied through 2D numerical simulation carried out on COMSOL 4.3a. The proposed method implies the use of less toxic electrolyte, low voltage (1–6 V), short pulses (5 to 50 μs) and selective polymer coating on the tool (cathode). A series of experiments of EC sinking for creating various micro-patterns and micro-structures has been carried out on the flat as well as curved metallic surfaces. 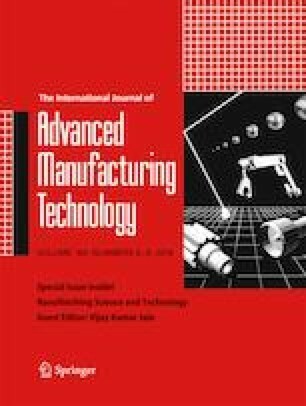 This paper reports machining of micro-dimples of 200–300 μm diameter, micro-channels of 150–250 μm and square micro-pillars of 300–350 μm. Comparison of the predicted geometrical dimensions of the micro-dimples through the simulation shows reasonable agreement with the experimental results for the given process parameters of ECMM. The paper also reports a brief comparison of laser surface texturing (LSTex) and electrochemical surface texturing (ECSTex).